This is .38 Special PMC 125gr. 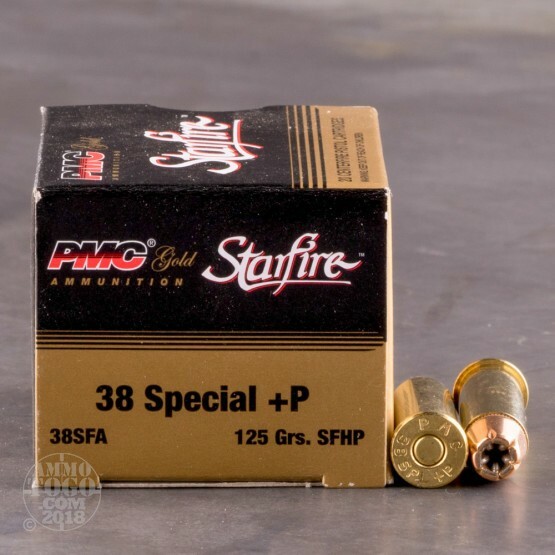 +P Starfire Hollow Point Ammo. 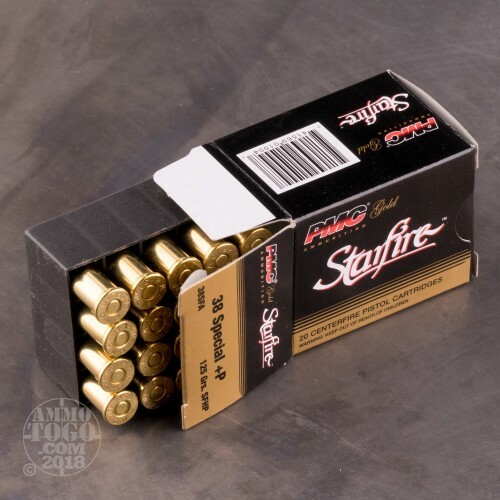 The Starfire hollow point's impressive performance comes from its unique rib and flute cavity design. 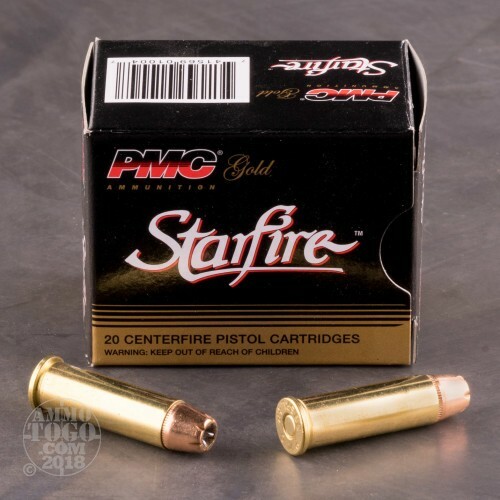 The Starfire Hollow Point expands upon impact because the pressure from incoming fluidic material creates lateral pressure on the ribs which forces instant, extremely reliable expansion, assisted by a notched jacket mouth. 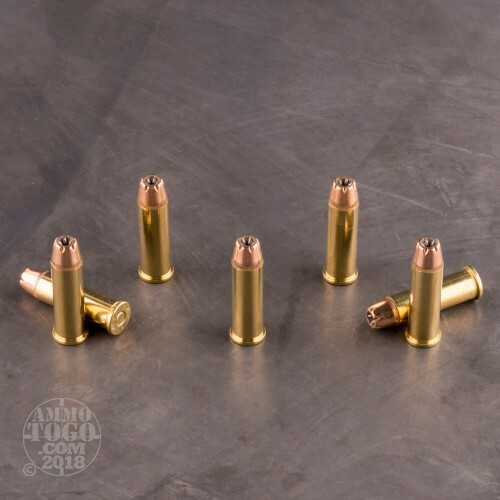 This ammo comes packed 20rd. boxes.